Our schedules are busy, our days are hectic and sometimes we race through the day without ever catching our breath. So, this episode is about turning to the garden to create those tiny moments of time to rejuvenate ourselves. It’s easy to do. We need only give ourselves permission. In this episode, I interview garden designer and author Sue Goetz about using fresh garden ingredients to create simple relaxing moments for ourselves. Bonus: Sue is also one f the talented designers for the Northwest Flower & Garden Show in Seattle, WA. If you have ever been to that show, you know that they have full size gardens inside the convention center with giant waterfalls, trees and even buildings. It’s amazing. But what is even more amazing is that those gardens are created in only 3 days just before the show opens. At the end of the interview, I have Sue share some behind-the-scenes information on how those spectacular garden show displays are created on the convention center floor. It’s fascinating. If you enjoy this podcast, please consider becoming a listener-sponsor! For a few dollars each month, you get access to bloopers & lots of extra goodies in our sponsor-only area. Sue is a garden designer, writer and speaker. 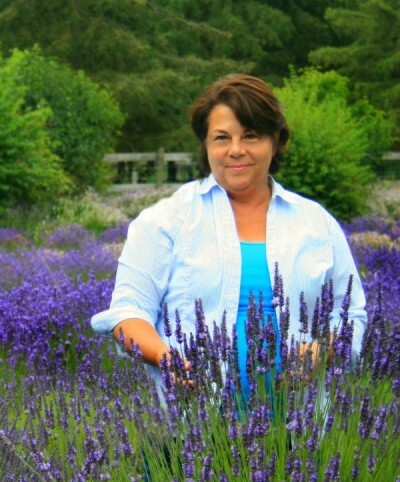 Through her garden design business, Creative Gardener, she helps clients personalize their garden spaces. Her garden design work has earned gold medals at the Northwest Flower and Garden Show, the Sunset Magazine Western Living award, Fine Gardening best design award and the AHS environmental award. Her home garden has been featured in Northwest Home and Garden magazine as well as Country Gardens Magazine. 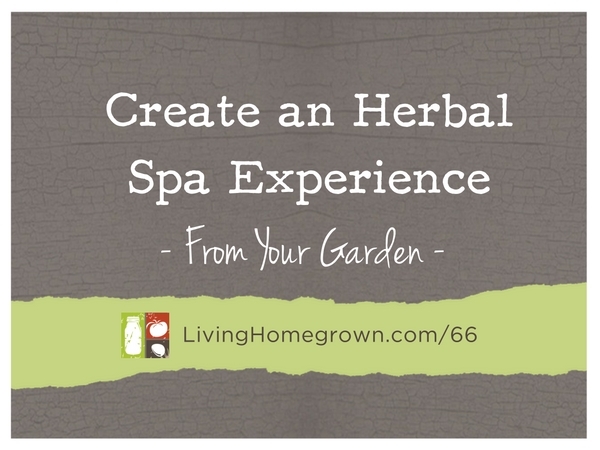 Sue is a prolific writer and speaker and her book, The Herb Lover’s Spa Book – Create a Luxury Spa Experience at Home with Fragrant Herbs from Your Garden came out last year. She is a certified professional horticulturalist (CPH), a member of the Association of Professional Landscape Designers as well as other professional organizations. Sue lives and gardens in Washington state. She has three daughters who still call home for some of mom’s fragrant, herbal concoctions. Click below to get the free PDF for today’s episode which includes a recipes and instructions for Tub Tea using dried herbs and Steamy Aromatherapy using fresh herbs. The book features spa recipes (lotions, soaks, masks, scrubs, etc) as well as growing information for 19 fragrant herbs.